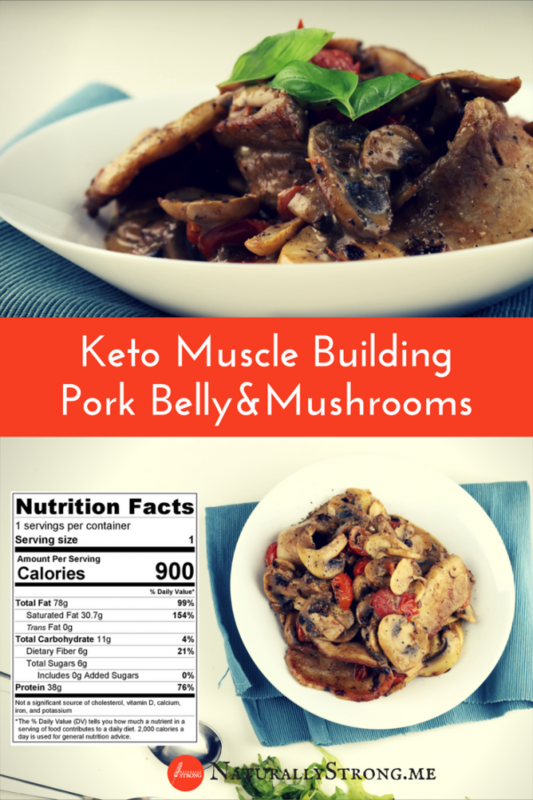 Super easy and quick pork belly with shallot, mushrooms, cherry tomatoes, and heavy cream for building muscle mass on the ketogenic diet! For less calories, drop the heavy cream or replace it with a fat free version. For less carbs, skip the cherry tomatoes or replace the shallot with garlic. 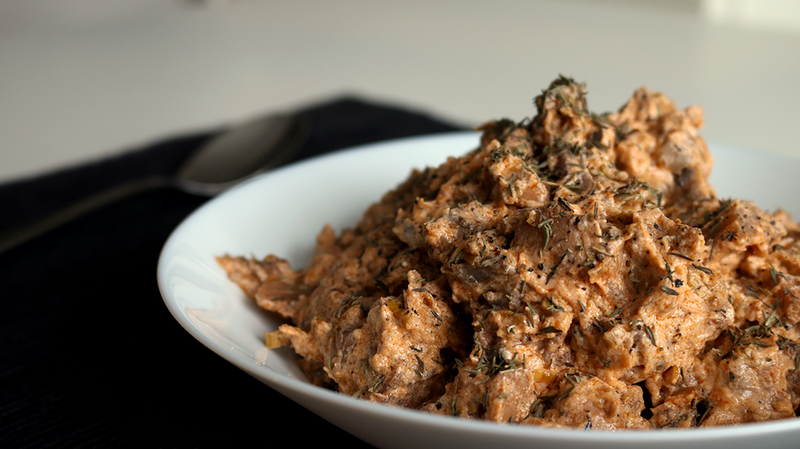 The taste will be different but still delicious since garlic goes great with both pork and mushrooms.